Syrah vines at Stonecroft. Credit: Stonecroft. This is the final in my series of articles from our recent trip back to New Zealand and once again I find myself starting with “you may not think of New Zealand when you think of” outstanding Syrah but you really should. I tasted three examples in January that I still recall vividly such was the impressive they created. One was from Te Whare Ra in Marlborough and the other two were from Hawke’s Bay, from Stonecroft and Bilancia. What I particularly like about this trio is that they offer a range of price points with the Stonecroft starting at around $20 USD ($29 NZD) through to the Bilancia La Collina at $65 USD ($90 NZD). What’s that I hear you say? $65 USD for one bottle of wine? Well, let me tell you about this wine; made by Warren Gibson, also winemaker at Trinity Hill in Hawke’s Bay, the grapes for Bilancia’s La Collina come from a small plot just behind the Trinity Hill cellar door, on the other side of Roy’s Hill. The wine is everything and more that you would expect from a premium wine – it is taut, elegant and refined with layers of flavour just waiting to unfold for you. It catches your attention with its restrained nose of fruit, spice and violets and once you are drawn in, the tightly wound structure is revealed on the palate with finely textured tannins and flavours of plum and cherry fruits, tobacco leaves and spice that linger on a very long finish. Syrah vines at Bilancia. Credit: Bilancia. Tasting the La Collina 2010 was a perfect series of juxtapositions; the day was a hot summer’s day in Hawke’s Bay yet this wine is perfect for a chilly winter’s evening, Warren, dressed in work shorts and boots joined us from mowing the lawn around the vines reminding us of winemaking practicalities though the wine itself is ethereal and all about aesthetic pleasure and finally, I tasted it briefly during the tasting, yet months later I can still recall in detail this particular wine. The other wine from Hawke’s Bay is the Stonecroft Sereine Syrah. Stonecroft own three vineyards all within the Gimblett Gravels Wine Growing Region, including a single row of Syrah vines established in 1984. 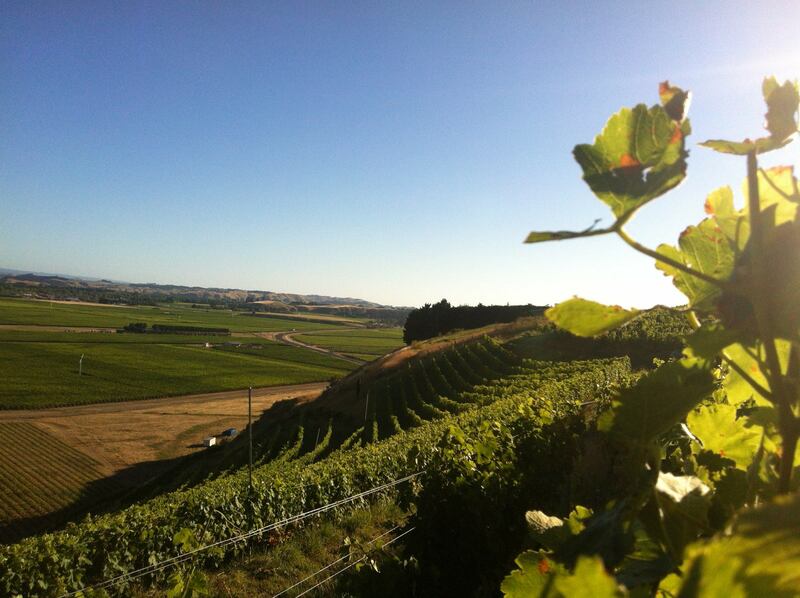 These vines are the oldest producing Syrah vines in New Zealand – an indication of just how young Syrah is to the country’s wine portfolio – and the story behind this is well worth a quick read. And so ends our road trip and with it, this series of articles. New Zealand is so well known for producing Sauvignon Blanc and, to a lesser extent, Pinot Noir, but it has so much more to offer. From carefully crafted Chardonnay to stylish Chenin Blanc, luscious sweet wines and beguiling Syrah – the options are limitless. Next time you are standing in front of the New Zealand section at your local wine shop take a look at some of these other wines or better yet, order directly from the wineries and their distributors – they won’t disappoint! Love Bilancia. So small, impossible to find. Fromm also makes exceptional Syrah.